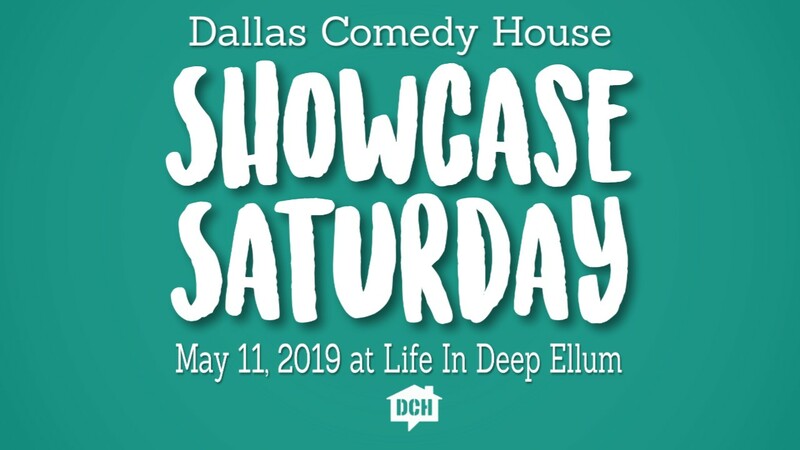 Our Term 2A classes will have their student showcases on Saturday, May 11th at Life In Deep Ellum! Shows will start at 3pm and go all day until we close it out with a super fun Improv Maestro at 9pm! We're going to have a limited bar (similar to the setup we had at the 2018 Holiday Party) and it is going to be tons of fun! Please mark the date on the calendar, buy tickets to showcases (if you're a current StuPer, you can watch for free), and show your DCH support! Let's make this an incredible day filled with fun and laughter! First, we want to say thank you for your patience while we wait for our new home at 3036 Elm St. We will have classes up for the next term very soon. Once the classes are posted, we will extend the 10% off tuition sale (usually on the Last Wednesday of the Month) for one week from the day they are posted. 8:00 - 9:30pm: Free Improv Jam! 7:30pm: Friday Night Stand-Up with headliner Aaron Aryanpur joined by Luis Juarez, Rosie Caruth, Ida Tavs, Jon Minjoe, and Tyler Simpson! Two stacked variety shows at 6:30pm and 8pm with stand-up and storytelling from Devin Clark, Casey Elder, Sydney Plant, Jessaica Shields, Kim Wadsworth, and Jasmine West. Wear some of those cool shirts and hats that you stocked up on during Merch Madness! Two stacked variety shows at 6:30pm and 8pm! Let's show up and support these shows! 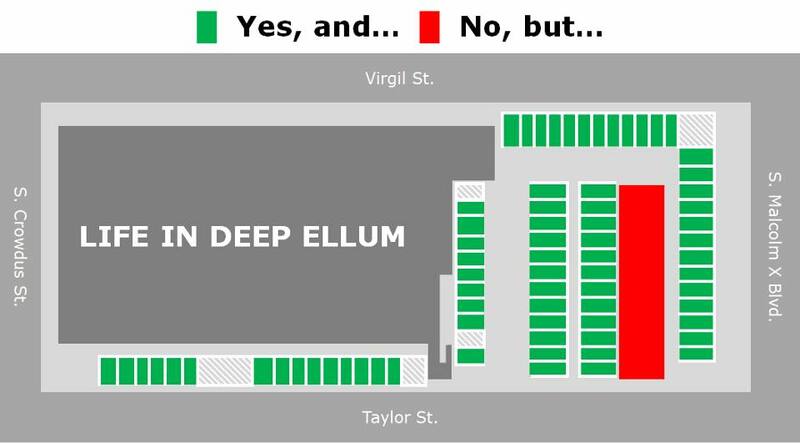 If you've got class or if you're attending a show at Life In Deep Ellum, be sure to park in a parking spots. There are some lines that confuse the issue, but if you think you might be blocking in a car - avoid the spot. Thank you to Doug Carvell for drawing out a little guide to the LIDE parking lot. Pop-Up Programming Begins this Week! Every other Wednesday in April and May (starting tonight! ), we'll be hosting an improv show and improv jam at Life In Deep Ellum*! The show starts at 7pm and it features Roller Ghoster, Release the Hounds, and the Student Lotto! The show is free with your StuPer ID. The jam starts at 8pm. As always the jam is free and open to all levels of experience. Find out about all of our pop-up programming on our show calendar! This Sunday at 5pm is Pipeline! ReCreation Dallas is kindly opening their office doors to host this show! DCH will be bringing pizza, so be sure to RSVP on the Facebook events on the Performers or Training Center pages. LIDE is graciously sharing their home with us while we wait for our forever home at 3036 Elm Street to be ready. Whether you're there for class, auditions, shows, or jams - please be a great guest. Leave the space better than you found it. Grab a coffee at Mokah! Show them how DCH supports! Speaking of support, we want to give a gigantic thank you to all of the volunteers who helped us move out of 3025 Main Street. You all worked so hard! We want to give a special shout-out to three volunteers who showed up for the entire three days! Super stars: Debbie McIlhany, Luis Lujan, and Ryan Sewell! Can't wait to see you all at the show and jam tonight! Sign up for class today and save 10% on class tuition. The sale ends at midnight. The 10th Annual Dallas Comedy Festival is here! Follow the tie-dyed action at @dallascomfest on Instagram and Twitter. There are still spots in some workshops! Individual tickets are selling out quickly, so get online and claim your spot while you can! Even the free shows like Block Party and Slides Show need tickets - so be sure to check-in at the Box Office at 3015 Main Street (DCH Training Center). Last night was an incredible way to kick off this incredible week - thank you if you were there! If you weren't - don't miss out on the fun! These are the last shows at 3025 Main Street before we take down the big neon sign and move out! P.S. There are some new jell-o shot flavors this year and they are tasty!! The last few weeks you've been hearing about #goodbye3025, you've been posting about your last shows, you've been reading nice blog posts about it, and it is finally here. THIS IS THE LAST WEEK AT 3025 MAIN STREET THAT YOU CAN USE YOUR STUDENT-PERFORMER IDs. Tonight is the last night to get StuPer appreciation discounts on food and drink at the bar! There are showcases tonight, Thursday, Saturday, and all day on Sunday! The last showcases at this location! Show these students some love. Merch Madness is going on at the bar. Buy some DCH swag at discounted prices. Help us clear out the inventory, so we don't have to move boxes full of shirts! 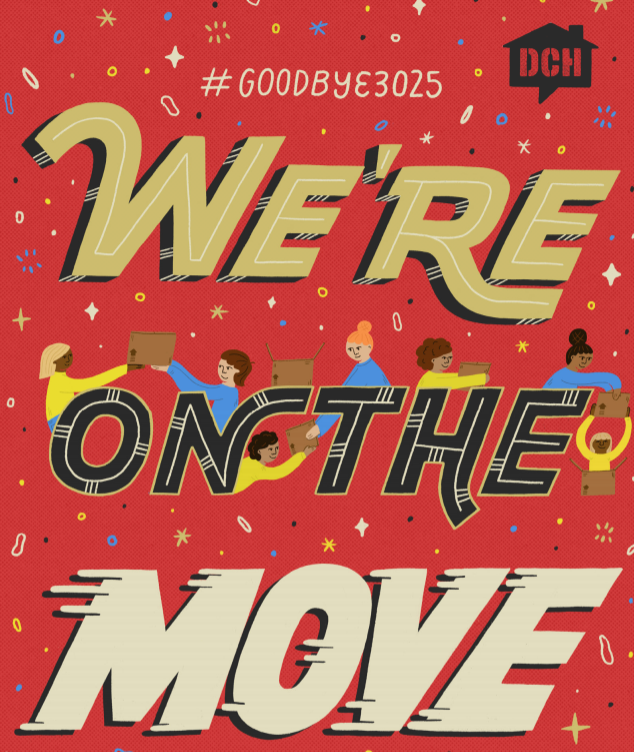 The Training Center will be closed for DCF and then we move! Classes will resume the week of April 7th at Life in Deep Ellum. 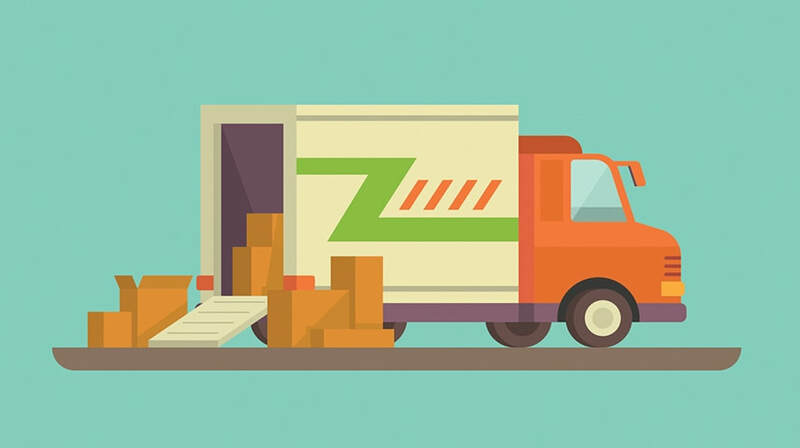 Do you want to help us pack and move? We'll provide the lunch and the fun. The volunteer times (sign up here) are April 1-3rd starting at 10am. We appreciate you!! The festival kicks off on Tuesday with a jello shot tasting with a reveal of this year's new flavor! There are shows and the last improv jam and open mic at 3025 Main Street. There are tickets on sale and some still available, but they will sell out! So, get yourself ready for the week! There is this week and next week left of regular shows at 3025 Main Street. That's it. Can you believe it? ?There are only two more chances to see the mainstage sketch revue, Fake It Til You Break It! Tuesday is the last jam and open mic at this location before DCF! Post your memories of Main Street and pictures of your last shows using #goodbye3025. Read the Town Hall recap filled with information about the move, upcoming auditions, and so much more! ​Load up on DCH swag at discounted prices during Merch Madness! There are spots available for Comedy Counseling at Main Street. Sign up toa DCH staff member or Artistic Committee Department head about your comedy goals. #2019DCF is almost here!! Remember that your DCH StuPer IDs will not get you into festival shows or events. If you are a DCF volunteer or performer, you can get into shows that are not sold out. There are a few spots left in the incredible DCF workshops! There are amazing panels with really cool people from the entertainment industry! There are parties, happy hours, jell-o shots, live podcasts, and so, so many great shows!! Buy your badge. Buy your tickets. Get yourself ready. Saturday, March 30th is the final night of the festival and it is the final night of shows at DCH. Trust me, you're gonna want to be there. Improv General: Monday, April 8 | 6:30-10:30p: Sign-up for a 30-minute audition spot using this form. The audition will consist of short-form and longform, premise-based improv. Sketch General: Monday, April 15 | 6:30-10:30p: Sign-up for a 45-minute audition spot using this form. The audition will consist of a pitch session, performance of a two-minute original monologue, and a small group performance piece. Do you want to be involved and engaged in decision-making and programming at Dallas Comedy House? We are looking for the advice, expertise, and feedback from students and alumni to serve on two councils starting in April. Student Alumni Council: Due Monday, March 18: Provide insight and support in training center initiatives to engage our community and form meaningful connections. To learn more and apply, click here! Diversity Council: Due Monday, March 18: Guide and inform Dallas Comedy House policies, activities, and initiatives surrounding the growth and support of a diverse student body and performer roster. To learn more and apply, click here! We’re hiring for two new positions as we gear up for our new space at 3036 Elm Street. See the listings below and share them with qualified candidates you may know! General Manager: Dallas Comedy House is seeking a full-time General Manager for our new restaurant and bar concept. We’re excited to add a new GM to our team as we move into this next decade of business in our new location in Deep Ellum. As the General Manager, you play an integral part in the creation and execution of our new restaurant within DCH: from concept, to hiring, to execution. The ideal candidate will have previous GM or Management experience in the food and beverage industry and leads by example in order to elevate and motivate their team. Learn more and apply for the General Manager position here. Corporate Sales Manager: Dallas Comedy House is seeking a full-time Corporate Sales Manager for our on-site and off-site events. Previous sales experience required, and knowledge of DCH is preferred. Learn more and apply for the Corporate Sales Manager position here. Is coming! March 26-30th! We will have five different stages over the course of the week, and there are lots of wonderful shows, events, and workshops. Learn more at dallascomedyfestival.com and follow the festival on social media (@dallascomfest on Insta and Twitter, or /dallascomedyfestival on Facebook). Because the festival is a separate, special event, Student/Performer IDs do not work to get into shows during the festival. All shows require a ticket. 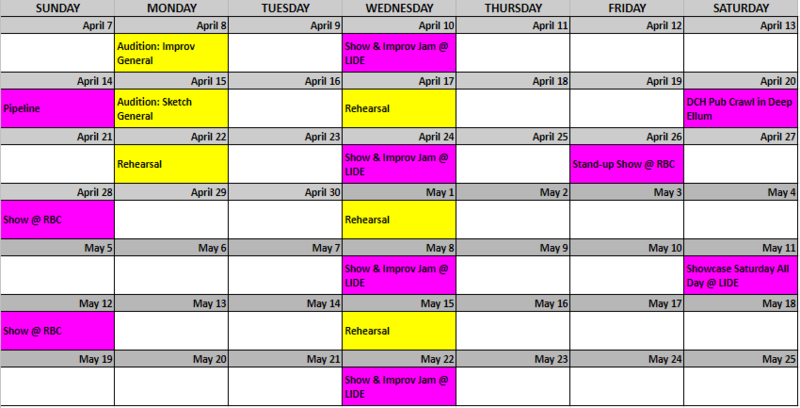 We have programming planned through April and May while our new space is finishing construction. This timeline may change: we could be in the new space earlier, or later. As soon as we know a firm date, we will be letting everyone know. More shows may be added as venues confirm. Our goal with programming is to offer a variety of show types (improv, stand-up, sketch, storytelling) over the course of our transitional period and to offer at least one show a week. 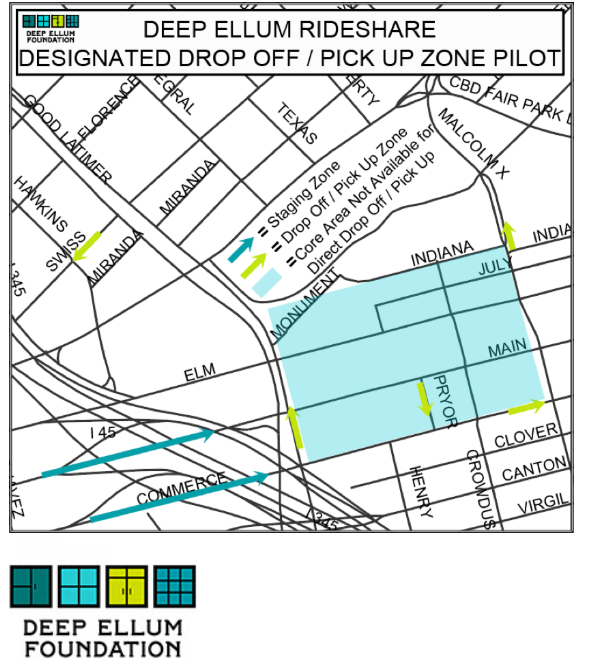 Your class will be in the same location for the duration of the move, and will either be at Life in Deep Ellum or the Recreation Dallas office at the Farmers Market. Both locations have ample parking, and are close to restaurants for pre and post class hangouts. 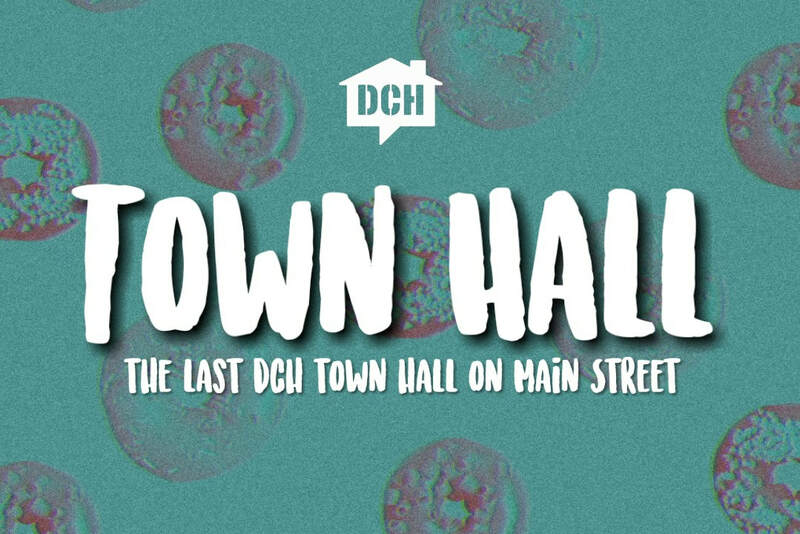 This Saturday is the last DCH Town Hall on Main Street. It will be chock full of information about the move to Elm Street and the transition between spaces. There will be information about new things coming up at DCH, auditions, social events, volunteer opportunities, etc. Bring your questions. Bring your appetite for knowledge and donuts! Please RSVP on the Facebook event so we can approximate the number of donuts needed. If you have already purchased your individual tickets for #2019DCF then you know which nights you are free to volunteer. DCF volunteers help everything move smoothly. You get a DCF swag bag, a DCF shirt, a pass to see shows (that are not sold out), access to the hospitality suite, and 10% off food and drink at Independent Bar & Kitchen. Today is the last day to sign up to volunteer at the 10th annual Dallas Comedy Festival. Remember to use this hashtag on your memories, to promote your last shows, and with any last pictures you're taking at 3025 Main Street. We want to share all the fun on DCH social! It's today! Save 10% when you register for a class! There's a free improv class at 7pm (if you want to check out improv or show it off to your friend)! All shows are free tonight! As always, your StuPer ID gets you some great discounts at the bar on Wednesday, too! The last shows and showcases on Main Street kick off tonight. Promote your shows using the hashtag. 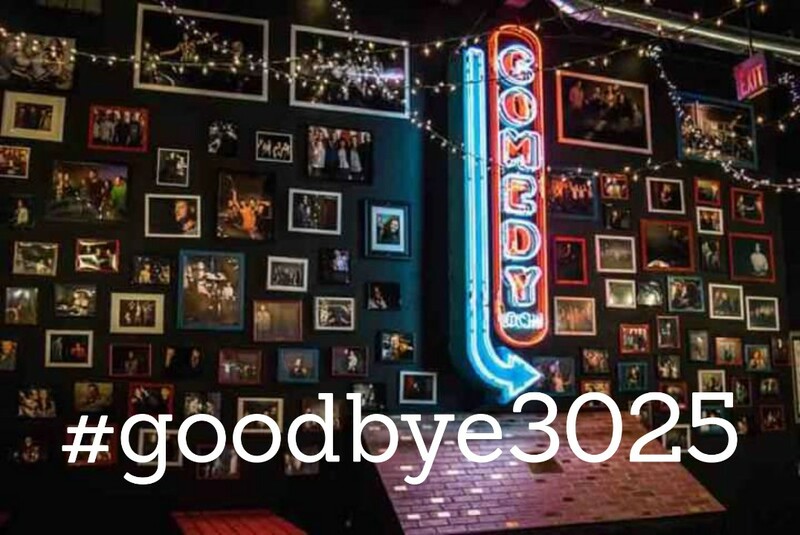 Take a photo of your last show or showcase on the stages here, tag it with #goodbye3025, and we'll use it on DCH social! Let's make this goodbye really special! Follow the move progress on the Thursday vlog on Facebook and Instagram @dallascomedy. Learn even more about it at the DCH Town Hall on March 9th! The 10th Annual Dallas Comedy Festival is fast-approaching! Badges are on sale! Workshops are selling out fast! Individual tickets go on sale on Friday at 10am! It's going to be such a fun week of comedy! Join us for the final Town Hall at our Main Street location. Learn about volunteer opportunities for the move, transitional programming before we move into our new Elm Street location, and more! Bring your questions. Bring your appetite for information and donuts. A big thank you goes to the people who attended the first DCH Focus Group this past Saturday. Because your feedback is so important, we'll have more of these in the future. If you attended classes that are ending this week, be sure to fill out your Student Evaluation Survey sent to you via email. The following two Sundays are filled with student showcases. Check them out - support your fellow comedy students! You can catch some really great improv, stand-up, sketch, and storytelling on a Sunday. A landing page for all things Dallas Comedy House for students/performers/alums of DCH.